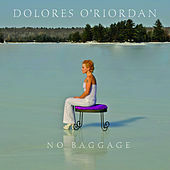 If you're not familiar with her name, as soon as you hear Dolores O'Riordan's sandy, dynamic singing you'll recognize the longtime lead vocalist of Irish alt act the Cranberries. After auditioning for the Cranberries in 1990 (who then went by the name Cranberry Saw Us) O'Riordan spent 13 years in the band and became an internationally renowned pop singer, equally capable of lulling listeners to sleep or riveting them to protest. After the Cranberries announced a career hiatus in 2003, O'Riordan began popping up on a number of musical diversions, including Jam & Spoon's Tripomatic Fairytales 3003 and a duets LP by Italian pop star Zucchero, called Zu & Co. In 2006, O'Riordan went to the studio for her solo debut, Are You Listening?, with a scheduled US release of May, 2007.